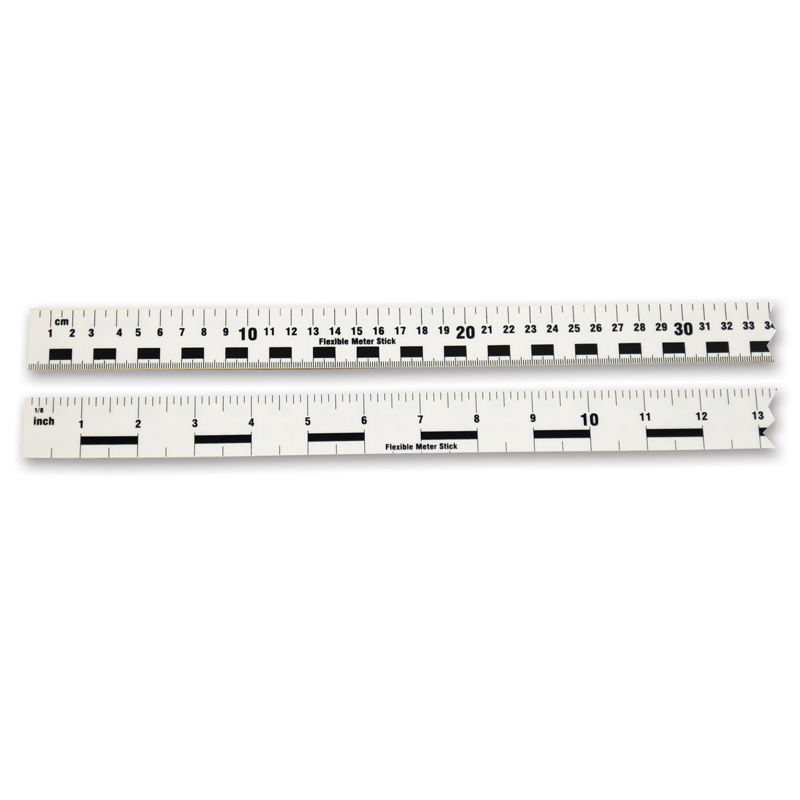 Measure large curved surfaces with ease! This flexible Meter Stick has customary units on one side and metric units on the other. Customary side marked in 1/8" increments with alternating black bars showing inches. Metric side marked in centimeters and .5 centimeters on one edge and millimeters on the other edge. Alternating black bars show centimeters. Hole on one end for easy storage.